are the buildings really tilted? Yes. 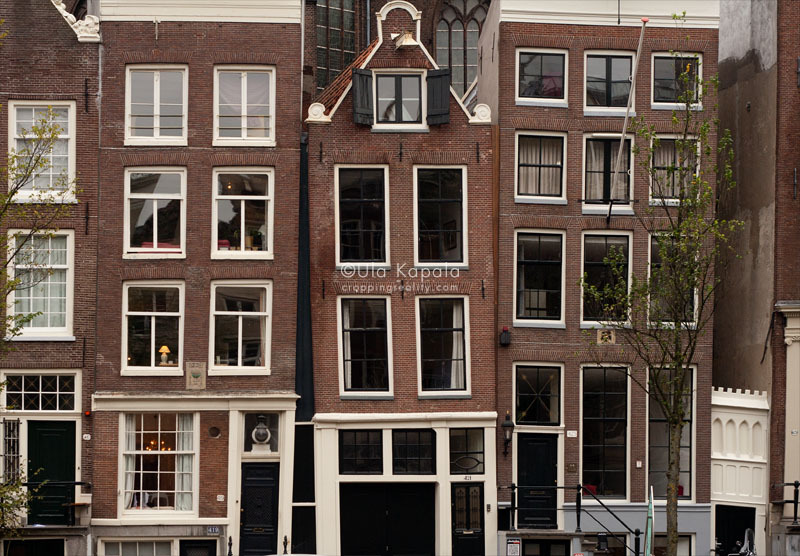 Most old buildings in Amsterdam are.